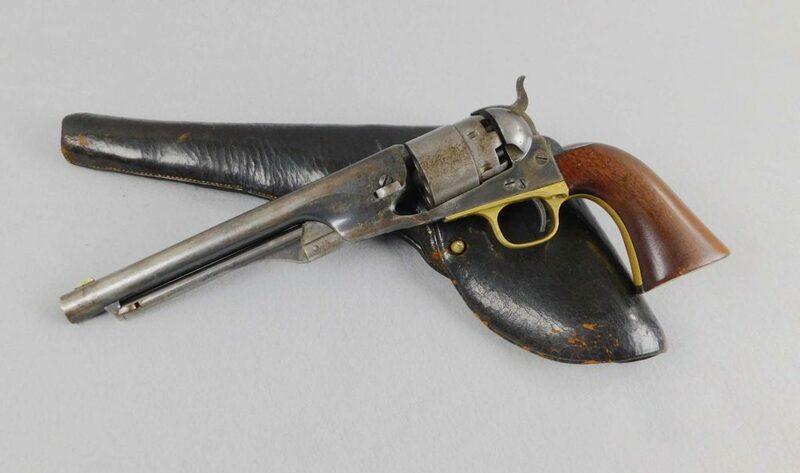 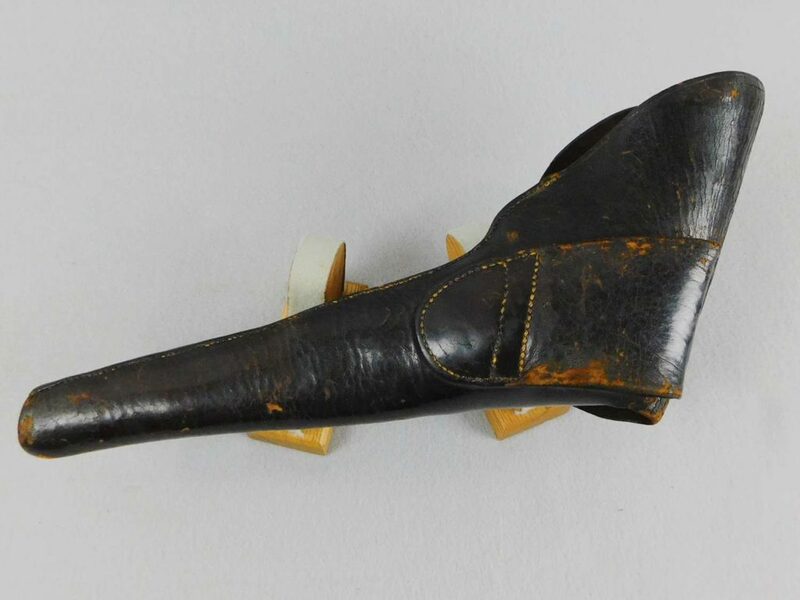 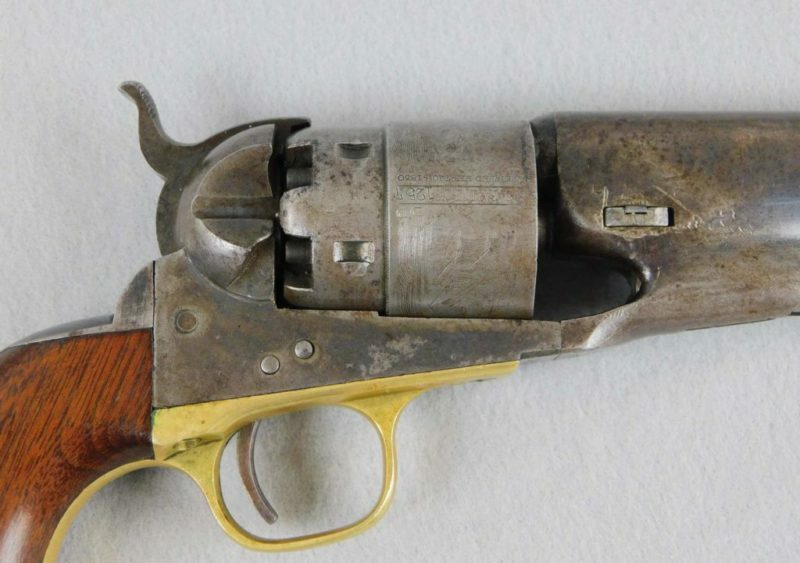 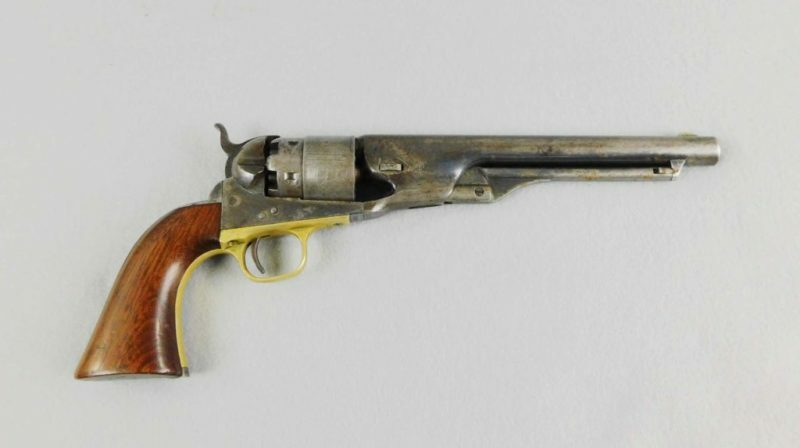 This is a Civil War Colt 1860 Army made in 1863 with the original flap holster. 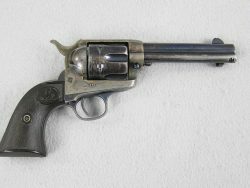 This is an all-matching number pistol, including the wedge and is serial number 131257. 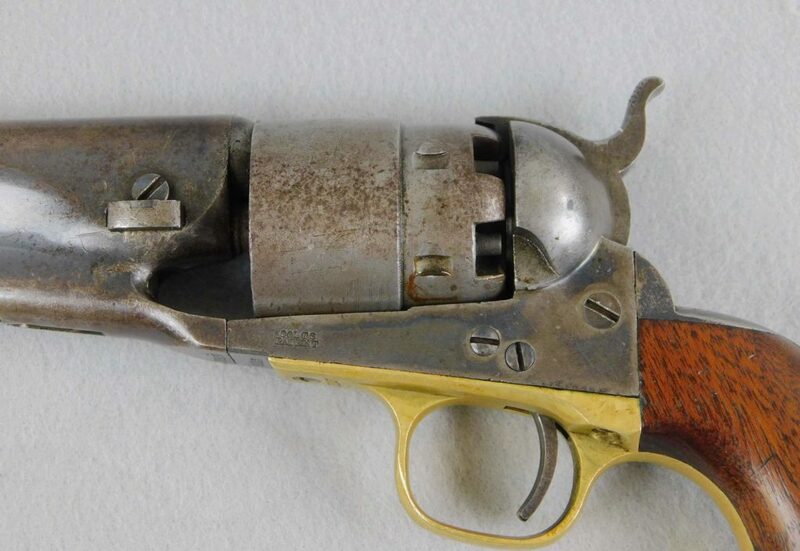 It retains 60% barrel blue and 55% case colors. 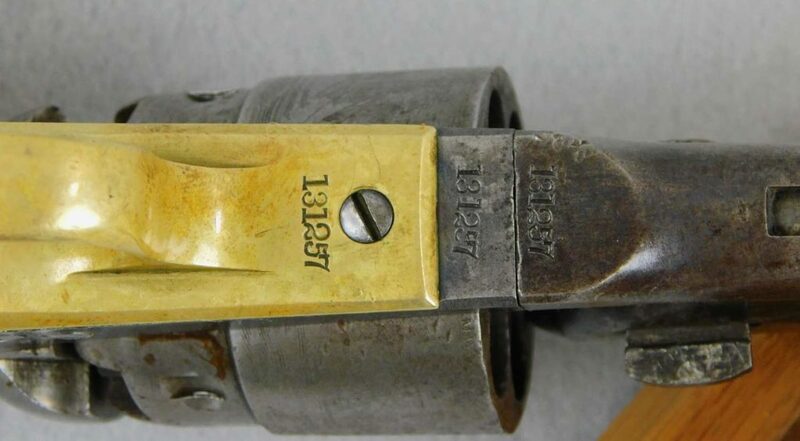 The cylinder has one safety pin left and retains about 88% cylinder scene. 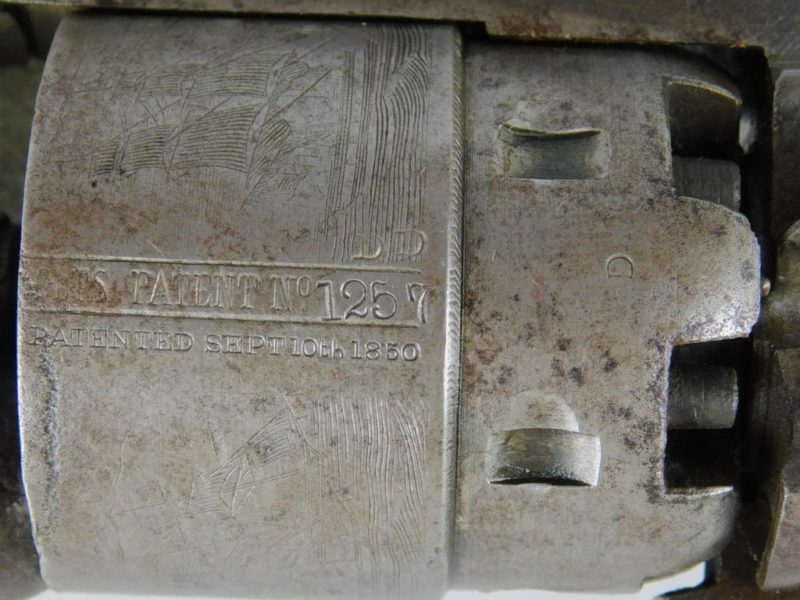 The engagement date is clearly visible and there is some pinprick pitting on the cylinder, probably from the holster. 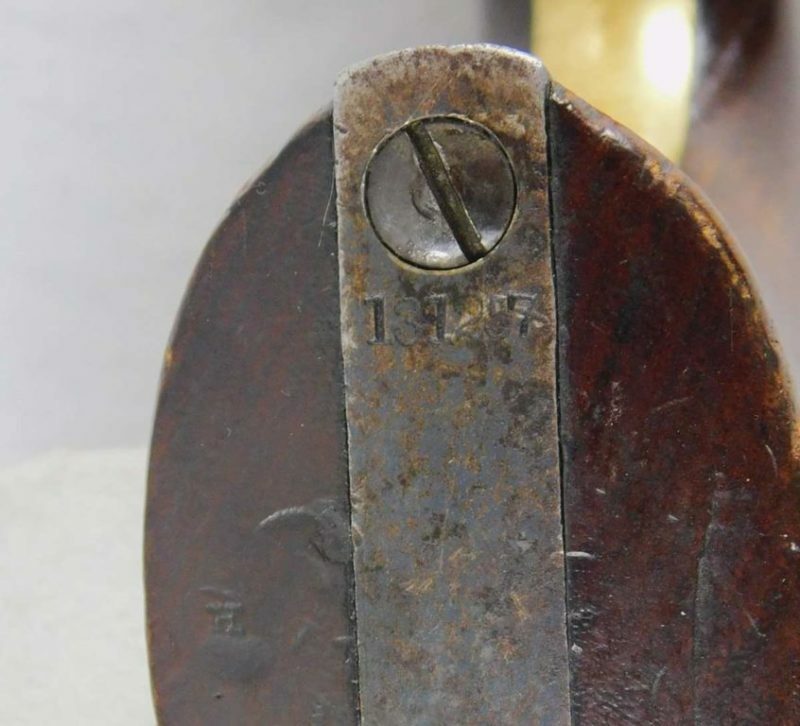 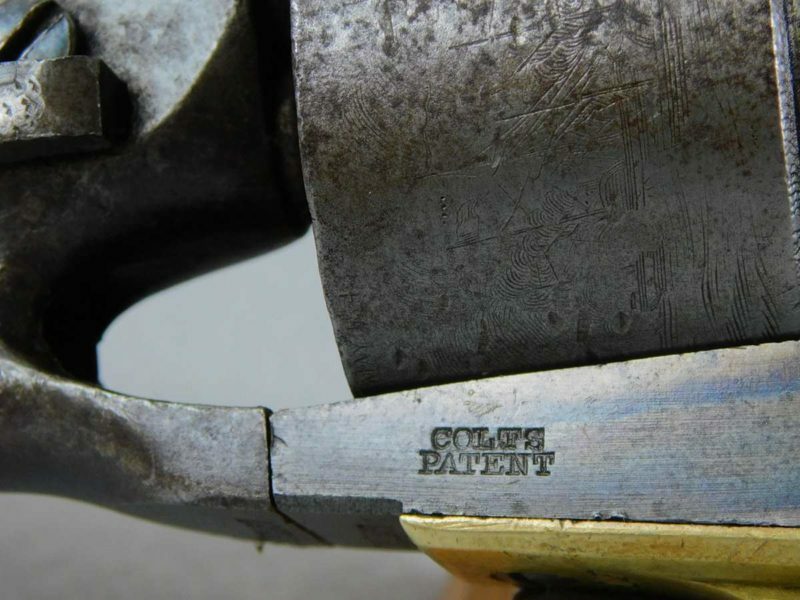 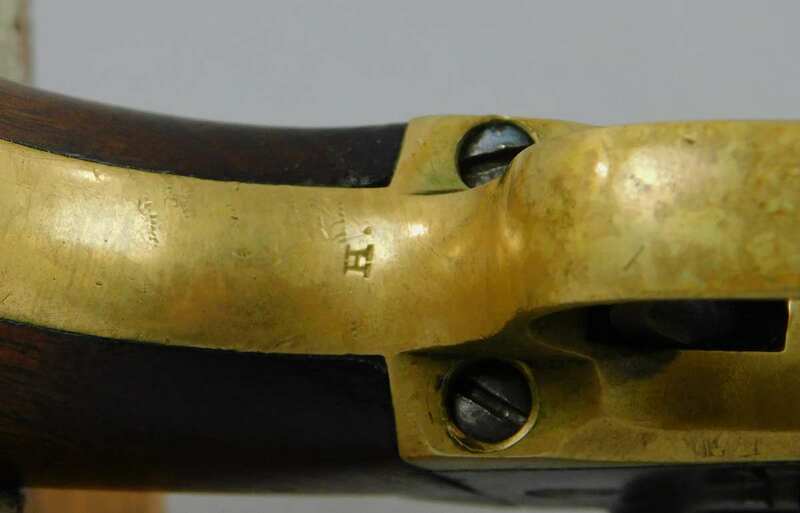 There are no grip cartouches but on the bottom of the left grip H is stamped and H behind the hammer. 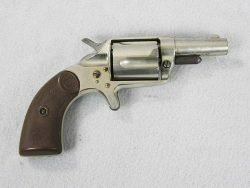 The bore is very good bright and shiny and the mechanical function is very good crisp and tight. 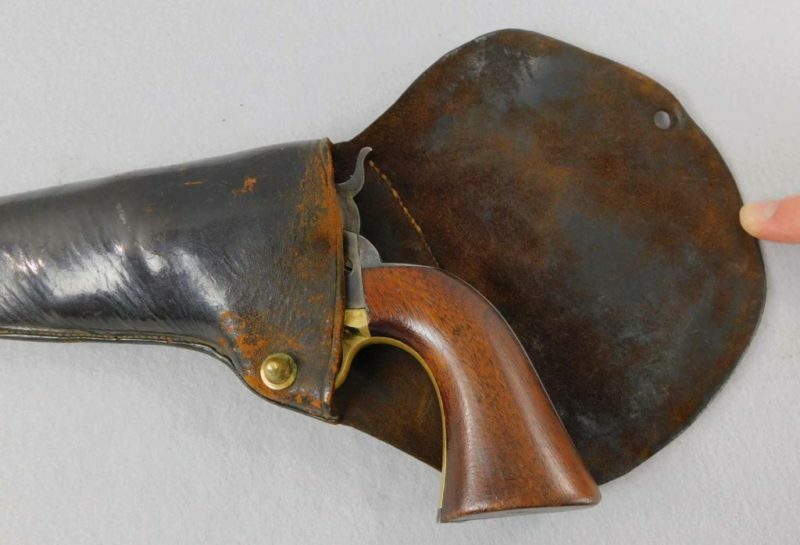 The holster is very good condition with all stitching intact but is missing the barrel plug at the bottom of the holster. 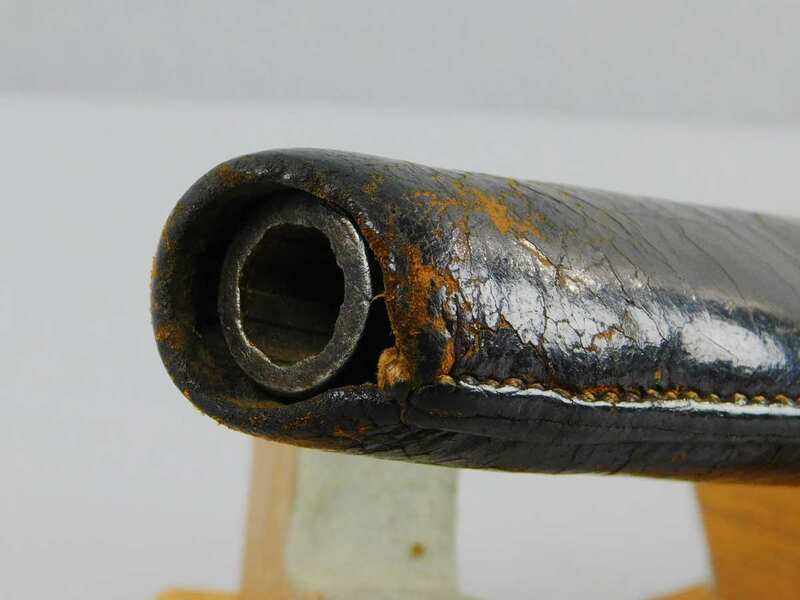 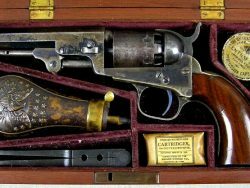 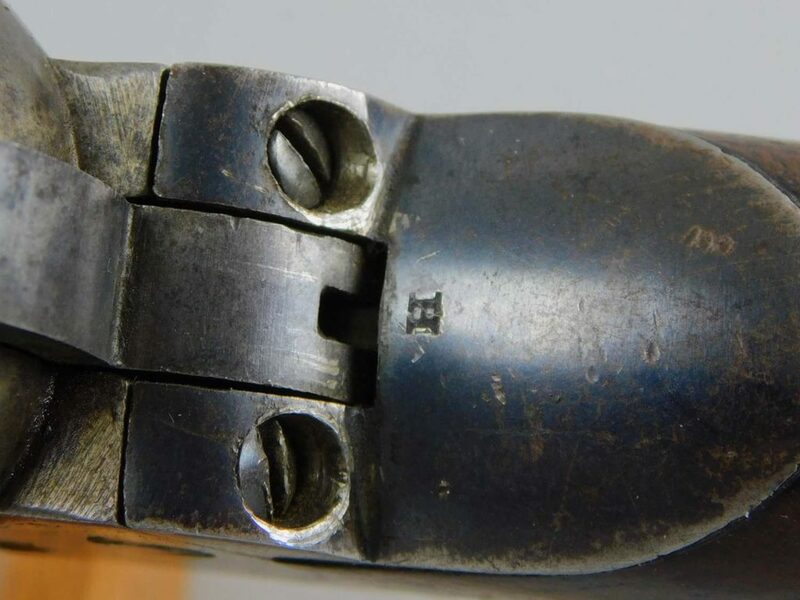 This is well above average condition on an original Civil War Colt revolver and holster.